Below is a list of attractions in Ontario. If you have any questions about visiting any of these attractions, feel free to contact us. 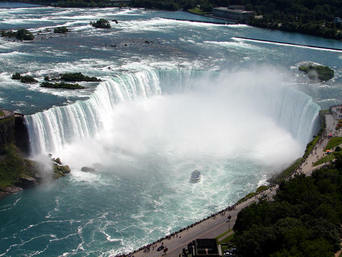 Get a cheap car rental and drive to Niagara Falls today! Niagara Falls is one of the largest waterfalls in the world and among the top sightseeing in Ontario if not in Canada and the world. These beautiful falls actually consists of three waterfalls which are located at the borders between Canada and United States.The major and largest waterfall is the Horseshoe Falls which can be best seen from the Canadian side and is around 790 meter (2600 feet) wide and falls for about 53 meter (173 feet). The second waterfall is the American Falls which exists at the American side of the falls and it is extended over 320 meter (1060 feet) wide and it falls for about 21 to 30 meter (70 to 100 feet) and the third waterfall is Bridal Veil Falls and also exists at the American Side. If your looking to get a great view, then be sure to try a helicopter tour. There are companies in the area who conduct daily helicopter tours for tourists visiting Niagara . Niagara Falls are located 121 km South East of Toronto, The best way to get there is to get a good car rental deal in Toronto with 150 km free per day and drive to these beautiful falls. Rent a cheap car in Mississauga or Toronto today and spend a fantastic weekend at one of the world landmarks. Centre Island is the common name of The Toronto Islands which exist on the western side of Lake Ontario and just offshore of Toronto downtown. The islands are connected to Toronto city by ferries and it is planned to build a tunnel to link the islands with the mainland by 2014. 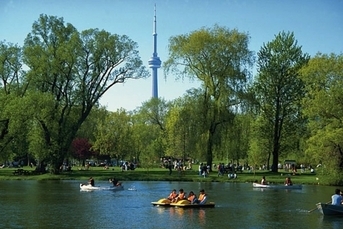 Although the islands are considered an urban car-free community, renting a car would be the easiest way to reach this beautiful recreational destination.The islands are extended over 570 acres and hold major islands such as Centre Island, Algonquin Island, Olympic Island besides other smaller islands. The islands have residential areas, public science school, beaches, entertainment park and they also hold Toronto City Centre Airport. Rent a Car in Toronto or Mississauga and plan your trip to this beautiful destination. Toronto Cheap Car Rentals, Rent a car in Mississauga, Brampton Car RentalsBook a car rental with us and visit 1000 Islands by this weekend! Renting a cheap car in Toronto would be the best way to get there, as the 1000 islands are 280 km to east of Toronto. At Bargain Car & Truck Rental, we can help you to get a the best car rental deal in Toronto with sufficient free millages to enjoy a beautiful weekend at the fabulous 1000 islands area. Check out our car rental deals before planning your trip. The American Society of Civil Engineers names CN Tower as one of the modern seven wonders around the globe. Plan your next visit to the tower and contact us to get the lowest car rental rate in Toronto. Wonderland was opened in 1981 and was known as Paramount Canada Wonderland. 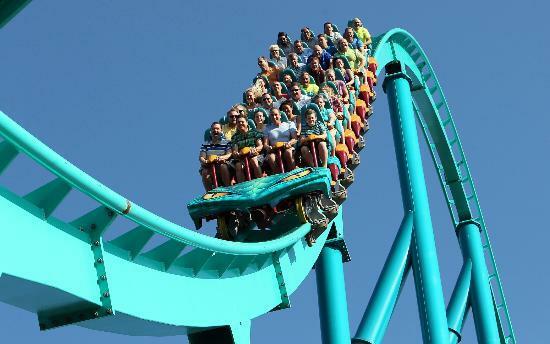 Subsequently, wonderland was acquired by Cedar Fair company which operated wonderland since 2006 and changed the name to Canada Wonderland. Wonderland is locate in Vaughn City north of Toronto, www.bargaincarrental.ca is serving Vaughn area and will be pleased to offer you cheap car rental to make it to the breathtaking city. Plan next your trip to wonderland and contact us to get the cheapest car rental in Toronto. Lion Safari is a great family destination that is located in Hamilton (100 KM west of Toronto). 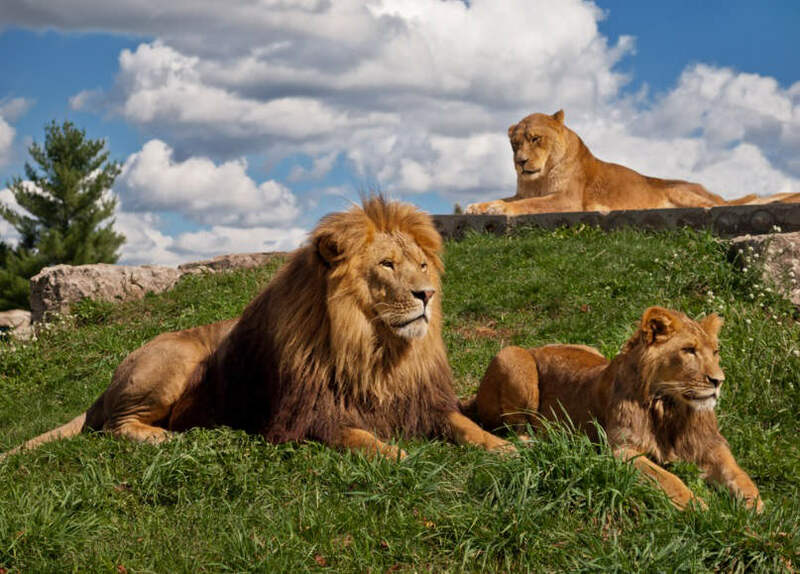 This amazing safari park is situated over 740 acres and hold more than 1000 different animals. There is limited public transportation to the park, but once you get there you have the choice to stay in your car or join on-site bus tour. It is better to stay in your own car which will allow you to stop as long as you want besides your favorite animal. We can rent you a car to enjoy that special trip. It is safe inside the park, so economy or full size car will be very convenient unless you prefer van or SUV. we provide variety of car rentals to enable you plan this trip. Lion safari park opens its doors to public starting May until thanksgiving in October. Besides the open safari area where animals roam freely, there are other on going shows onsite such as elephant and birds show.Visitors are prohibited from feeding animals because many of them are wild and the idea of opening the doors or windows could be very dangerous. The park has succeeded to breed Asian elephants besides numerous endangered species. Lion Safari park was founded by former Canadian Army colonel, Mr. Gordon Debenham and was launched on August 1967. If you are looking to learn more about Canadian history and architecture, Casa Loma would be a great place to vist.